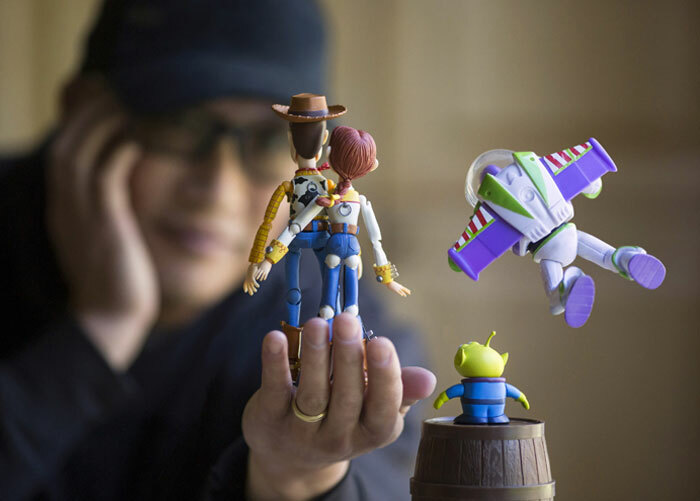 After working in design for the likes of Disney, LucasFilm and Sony Pictures, Mitchel Wu decided to take up work of a different kind of creation: toy photography. 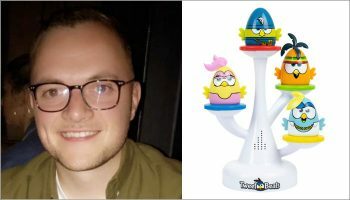 Drawn in by its mix of storytelling, nostalgia and pop culture, he has created striking visuals for clients spanning Mattel, Warner Bros and Moose Toys for promotion, magazine covers and even as part of TV show pitches. 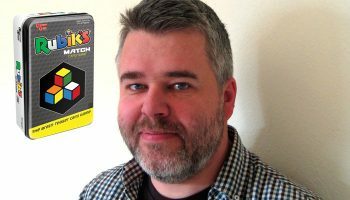 Hi Mitch, so to kick us off, can you tell us a bit about your history in the world of toy and game design? I have a degree in illustration, and from the time I graduated from art school the focus of my career into the mid 2000s was spent designing and developing product for the gift and collectibles industry. I worked at the Walt Disney Company for six years in this capacity, working on a beautiful, high-end line of ceramic figures called the Walt Disney Classics Collection. Following Disney I created dimensional products for Lucasfilm, Warner Bros, Sony Pictures and Cirque Du Soleil. I also designed and licensed out several of my own products and lines, including several toys. Looking back, I recognise that all of this was the perfect training and background for what I am doing now, and how to not only meet, but exceed the expectations of my clients. So when did your toy photography work kick in? I’ve always loved photography and beginning in 2007, after some major life changes and contemplation, decided to make it into a full-time career. This encompassed commercial and corporate work as well as lifestyle photography. Wedding photography eventually became a large part of my business and over the course of several years I photographed hundreds of them. But it was in 2015, when my daughter entered high school, that I realized I had a limited number of weekends left to spend with her and that photographing weddings took many of those weekends away. 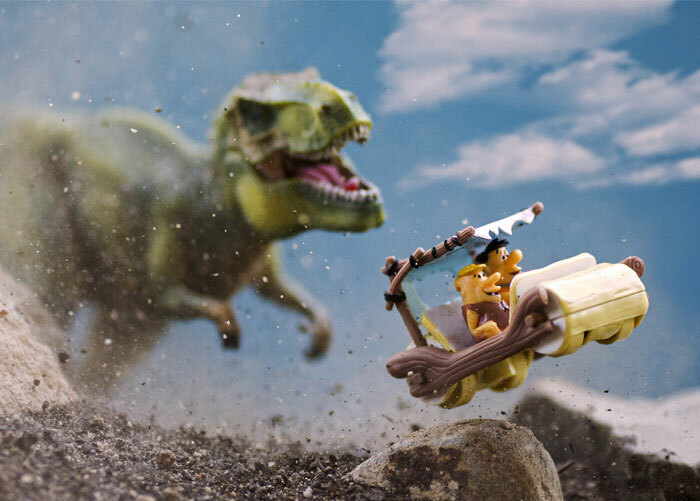 I discovered toy photography at almost exactly the same time and was immediately drawn to the storytelling, nostalgia and pop culture aspects of it – it was an art form that encouraged (demanded!) storytelling. The timing of everything was perfect. Ironically, my career in toy photography is exactly the career I imagined having as an illustrator – where I work closely with clients to create extremely creative images that are driven by stories and a goal. How would describe your approach to toy photography? And has it evolved much since when you first started? I create and craft stories through toy photography, and this often involves creating the illusion of motion and emotion where none exists. I create mostly practical effects, meaning the fire, smoke, dirt and debris and splashes you see in my images are real and were captured in real time. But I won’t hesitate to use digital technology when needed…whatever it takes to create the strongest image. I’m constantly experimenting with new techniques and striving to improve all aspects of my image-making and storytelling. So yes, I’d like to think my work is continuously developing and evolving. It may not be perceptible from one image to the next, but if you go though my Instagram timeline I think you can see a definite evolution. Having a strong understanding and awareness of my own work has given me a very good understanding of who my audience is and how to better serve my clients. Your images manage to both celebrate great toy design, while also telling stories. How do your clients use your photography? Thanks for those kind words. I believe we are living in the golden age of toys in terms of creativity, variety and quality. I’ve been very fortunate to have clients ranging from toy companies, to advertising agencies, to magazines, to well-known entertainment companies, to even a skateboard manufacturer. My images have been used to promote products across various medias and social media platforms. They’ve been used for promotion, publicity and advertising purposes and of course for magazine covers. Warner Bros Entertainment commissioned me to create images to be used as concept art for a large pitch they were making for a new show. I’ve realized that toy photography has a wide range of applications among different industries. Do you think your toy photography is often a better advert for these products than the standard photographs often seen on Amazon pages or online toy stores? It really depends on the use and goal. For Amazon and similar applications, I think standard photographs fill a need – and that is to show very simply, quickly and clearly what an item is. There’s absolutely a place for static, emotionless images of toys. Increasingly though, toy and game companies are realizing the benefit of showing their audience images that delight and tell stories… images that connect their toys and games with imaginative stories and jaw dropping imagery. It’s taking the underlying concept of toys and games, which at its core is imaginative play, and carrying it through to the images. 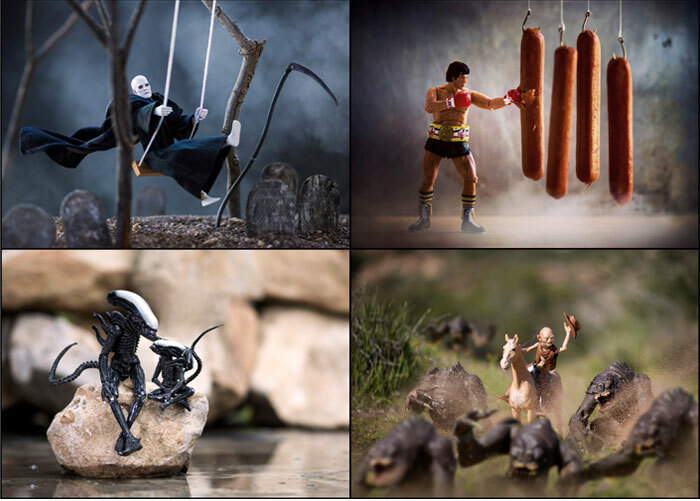 Creative toy photography has the ability to bring social media and advertising campaigns to life, and can also be used as marketing and display art in-store, at point-of-purchase, and at trade shows and in convention booths. My images are often uses as the “hero images” of a campaign or product launch. Can you talk us through the creative process behind one of your recent photographs? Sure. I recently had the opportunity work on an image campaign for Mattel’s UNO property. Mattel had seen my toy photography and wanted me to bring that same sense of whimsical storytelling, action and emotion to UNO. I have fond memories of playing UNO growing up, and later playing UNO with my daughter as she was growing up, so it was a property I had great nostalgia for. Mattel provided me with a number of different types of UNO decks, one of which was their new waterproof deck, which I thought was brilliant. I usually begin a project by asking myself what stories can I tell with the product, and how can I capture both emotion and motion in the image? How can I grab the viewer’s attention and imagination in a split second, get them to engage with my image and compel them to want to learn more about the toy or game? I looked at the obvious idea of having the cards in or by a swimming pool or tub. 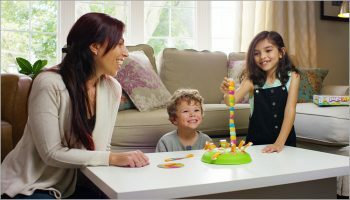 But I eventually settled on an idea that would express the excitement and craziness of playing UNO on the kitchen table (as it often is), and how that excitement can easily create a delicious mess if not careful. Coming up with the concept is often the most challenging part of the process, as it sets the stage for everything else. 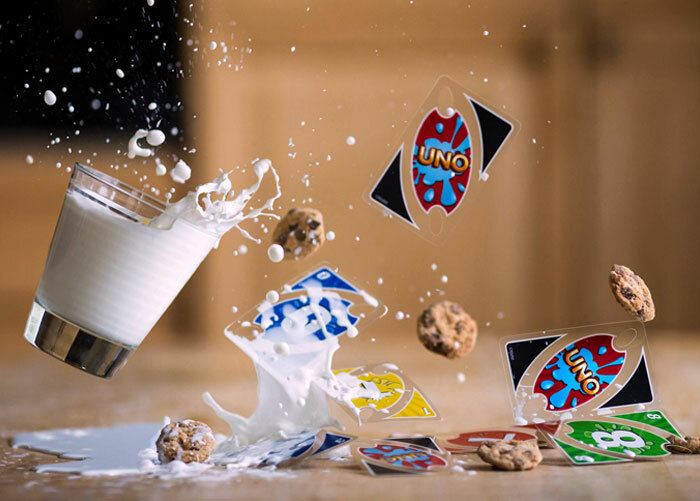 Once I have the concept it becomes a matter of creative problem solving – in this case how to create a dynamic, fun splash of milk – one that emphasizes the water (milk) proof nature of the cards in a fun, creative way. The resulting image below remains one of my favourites. I consume a steady diet of movies, pop culture and art, and continually snack on high calorie nostalgia with salted observations of human nature. For dessert, I’ll have a slice of personal memories a la mode and then wash it all down with a shot of international travel. Seriously though, I try to find inspiration and ideas in everything I see and do. 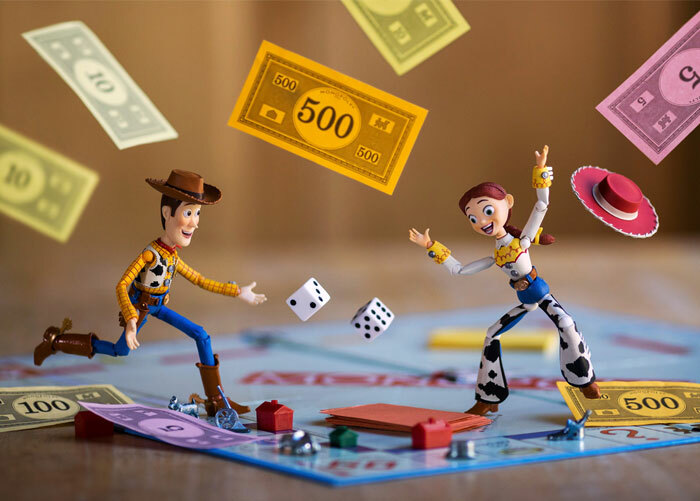 That might sound cliche’, but it’s how playing Monopoly one day became a new Toy Story shot. 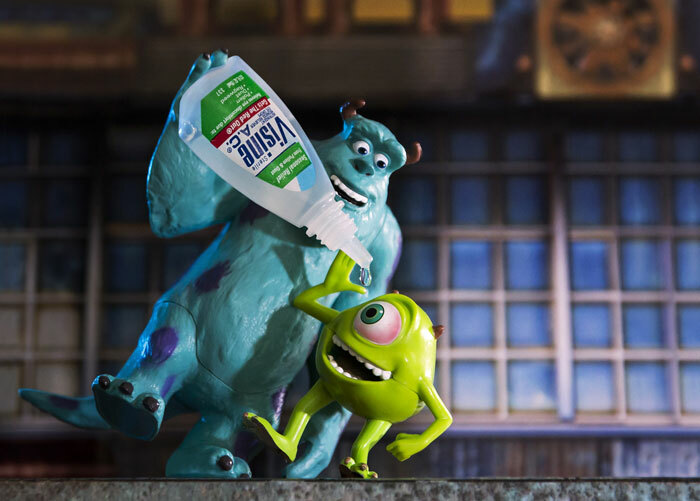 And how spring allergies led to a fun Monsters Inc. image with Mike Wazowski’s one red, itchy eye. When I’m not creating images for clients I’m creating images for myself. Personal work is where new ideas and new techniques are born, practiced and perfected. My personal work drives the professional work. If the creativity is feeling a little blocked, getting a new toy or three is always a quick remedy! The quality and wide breadth of toys being produced today encourages storytelling. As an example, I create many of my personal images using figures from the toy company NECA. They have a huge range of licenses and as a result offer an incredible amount of characters, some of which are actually really obscure (like the top left image below featuring the character Death, from the 1991 movie Bill & Ted’s Bogus Journey). The sculpting and execution on the figures are incredible and the storytelling possibilities are endless, which are things I look for in toys. I think the four-image montage below illustrates this nicely. It also gives you little insight into my somewhat ‘off-kilter’ imagination, which I pretty much let run free in my personal work. If a company is interested in working with you, how can they get in touch? Email me at mitchel@mitchelwutoyphotography.com – I’d love to explore a creative collaboration with you.